Citation: Aragon, S. R., & Johnson, E. S. (2008). 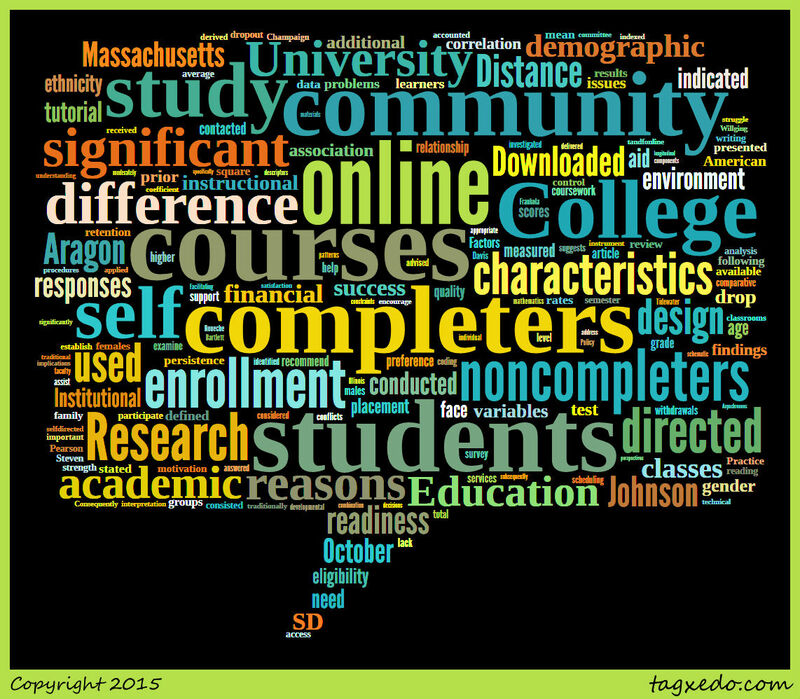 Factors Influencing Completion and Noncompletion of Community College Online Courses. American Journal Of Distance Education, 22(3), 146-158. Summary: The authors compared differences in completing online and face-to-face (F2F) courses, including gender, ethnicity (“white” and “nonwhite”), financial aid, online courses previously taken, GPA, academic preparedness, and self-directed preparedness. 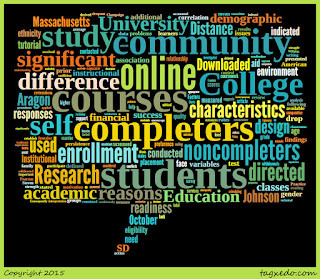 Their comparative design examined differences between those who did (189 participants) and did not complete (116 participants) online courses at a Midwestern rural community college. They followed up with students (65 of the 116 who did not complete), to have students explain why did not complete the course. These students identified personal issues, time constraints, course design/communication, technology ability, institutional issues, and learning preferences as their reasons. In analyzing the two sets of students, gender presented a small difference in succeeding in the course (favoring females). Students who had taken more online courses and those with higher GPAs also showed a small positive correlation. No other significant differences were present. The authors recommended increased advertisement about online learning, increased student support services, and improved course design. They also encouraged quality control for courses and access to instructional designers for faculty. The authors could have contacted the students who completed to better understand what helped them succeed and if they too ran into similar barriers.